In this quarter you will be introduced to some Renaissance artists which are a great way to have some Tea Time fun in your homeschool. HSS’s Explorer Unit with Notebooking Pages is a great fit for this quarter, and you will also dabble a bit in the Reformation, which can be enhanced with the applicable lessons and printables from Homeschool Share’s Reformation Unit Study & Lapbook. Lessons 2, 6, 13 – Michelangelo’s Surprise is a delightful picture book telling the story of Michelangelo working for the Medici family. You can begin it during the Medici lessons (2 and 6) or wait till you get to the Michelangelo lesson (13). Your children may also enjoy these Tea Time with Michelangelo activities. Lesson 3 – When studying about Ferdinand and Isabella, my kids loved completing the unit study for The Story of Ferdinand by Munro Leaf, which now includes free lapbook components! Lesson 5 – Reinforce what you learn about the Cape of Good Hope explorers with applicable lessons and printables from HSS’s Explorer Unit with Notebooking Pages. Lesson 7 – As you learn about Columbus, continue with the Explorer Unit with Notebooking Pages and also enjoy Joaquin Miller’s “Columbus” Poetry Study or the Pedro’s Journal Unit Study. Lesson 9 – While reading about Western African empires, choose a unit from HSS’s Africa Connections Page such as Why Mosquitoes Buzz in People’s Ears. Lesson 12 – Enjoy Leonardo’s Horse Unit Study as a primer for the lesson on Leonardo di Vinci. Lesson 17 – Have Tea Time with Raphael while doing this lesson. Lessons 18 & 21 – Plenty of Martin Luther resources, including Mini-Unit and Lapbook and Luther’s 95 Theses and Pocket are found in the Reformation Unit Study & Lapbook. Lessons 19 & 20 – Carry on with the Explorer Unit with Notebooking Pages as you study Cortés, Pizarro, and Magellan. In this quarter you’ll get better acquainted with the movers and shakers of the Reformation. Your older children can complete the activities in the Reformation Unit Study & Lapbook as you come across them in the lessons. Your younger children will likely enjoy the Clown of God Unit Study during this quarter. Lesson 24 – Choose a unit study from the HSS Amish Connections Page as you learn about the Anabaptists. Lesson 25 – HSS has an India Country Lapbook and a few enjoyable resources including One Grain of Rice Unit Study & Lapbook, The Story of Little Babaji Unit Study, and Once a Mouse Unit Study that would tie in nicely to this lesson on India. Lesson 26 – Utilize Henry VIII resources from the Reformation Unit Study & Lapbook. Lesson 26 & 27 – Older children can watch A Man for All Seasons about Henry VIII and Sir Thomas More and complete Movie Lapbook. Lesson 30 – A John Calvin Mini Unit and Lapbook is included in the Reformation Unit. Lesson 35 – Copernicus Notebook Page will help retain information gathered in this lesson. Younger children can take a trip through the solar system, Cat in the Hat style, with this There’s No Place Like Space Unit Study, and older elementary children can peruse the Unit Study for Maria’s Comet. Lesson 38 – Utilize Elizabeth I resources from the Reformation Unit . Lesson 39 – A John Knox Mini Unit and Lapbook is included in the Reformation Unit. Lesson 40 – Mary, Queen of Scots Unit and Lapbook will expand on this lesson. In this quarter you’ll be introduced to three Renaissance era astronomers so it lends itself well to some Solar System rabbit trails. Shakespeare will also be covered in this quarter. Don’t feel the need to rush through these MOH lessons. There are 28 Volume 3 lessons to be covered in a typically 38 week school year, leaving lots of time to follow interests in between! Lesson 43 – As you learn about Tycho Brahe and Johannes Kepler, you can record facts on these Notebook Pages. And if you didn’t do the There’s No Place Like Space Unit Study in lesson 35, now would be a good time! Or choose another resource from the Outer Space Connections Page. Lesson 44 – As you learn about Drake, you can read and complete a unit study about five brothers who also sailed across the vast Pacific in Island Below the Star. Lesson 49 – No Renaissance study is complete without indulging in some Shakespeare! Here are Shakespeare Notebook Pages that can be used with your choices of adaptations or originals. You may want to focus just on Shakespeare for a week or two before moving on to your next MOH lesson. Lesson 52 – Watch a video of Don Quixote and complete a Movie Lapbook. Lesson 53 – Choose a resource from the Australia Connections Page. Lessons 54, 56, 57 – Don’t miss d’Aulaires’s beautiful tale of the first colony at Jamestown and complete the go-along Pocahontas Lapbook. If you watch the animated version of Pocohontas, complete a Movie Lapbook. Or, your children may find A Lion to Guard Us pleasurable. Lesson 55 – Do you have a 4th – 6th grader? You could assign this Stuart Little Unit Study about a mouse that lives near the Hudson. Lessons 59 & 60 – Goody O’ Grumpity is a delightful picture book about a colonial Pilgrim woman. Or pick another resource from HSS’s Thanksgiving Connections Page. Lesson 63 – While learning about Galileo, if not completed in lessons 35 or 43, younger children can take a trip through the solar system, Cat in the Hat style, with this There’s No Place Like Space Unit Study, and older elementary children can peruse the Unit Study for Maria’s Comet. Or choose another resource from the Outer Space Connections Page. Lesson 65 – As you admire the works of Rembrandt, read and complete a FREE Unit Study and Lapbook for Hana in the Time of Tulips. Lesson 69 – This Periodic Table Lapbook or Chemistry Unit and Lapbook may be nice additions to the lesson Boyle. Lesson 70 – If you shared the Unit Study for Maria’s Comet in the previous quarter, remind your child that Maria was a Quaker like George Fox. If not, you may want to share it now. Frog Went A-Courtin’ Unit Studies. You’ll also find Scotland printables on the Europe Connections Page. Lesson 74 – Select a literature based unit study or other China resource including HSS’s China Country Study and Lapbook, Story About Ping Lapbook and Printables, and The Empty Pot Lapbook, Or, for individual China lapbook components, visit our Misc. Lapbook Components Page. No Lesson – During this quarter you can enjoy Tea Time with Basho, a poet who lived 1644 – 1694. This is a fun activity, that can be used in one of the extra weeks MOH allows. Lesson 75 – Complete Newton’s Three Laws of Motion Window Book. Lesson 76 – View A Pilgrim’s Progress and complete Movie Lapbook. Lesson 77 – Boost the William Penn lesson with Pennsylvania printables found HERE. Lesson 82 – Learn more about the Anabaptists sharing a resource from the HSS Amish Connections Page such as one of our favorites, Just Plain Fancy. Lesson 83 – Enhance your lesson on Peter I by sharing The Fool of the World and the Flying Ship: A Russian Tale. Lesson 84 – Have Tea Time with Isaac Watts. Phew! We made it through! Hopefully there is something here you’ll find an enjoyable supplement to MOH Vol. 3. Next month we’ll share resources for Modern History. We shared ways to enhance MOH Volume 1, Ancients, with unit studies and lapbooks from Homeschool Share in this post. This month, we will cover MOH Volume 2. Quarter 1 of MOH Volume 2 starts off where Quarter 4 of MOH Volume 1 ended, in the Roman Empire. If you didn’t complete the FREE Ancient Rome Unit & Lapbook and/or the economics study based on the Uncle Eric book Ancient Rome and How It Affects You Today, you could do so in this Quarter. And, if you follow a traditional school schedule, those who celebrate Christmas will be doing so in this quarter. Share with your children the hilarious Virginia Kahl picture book, Plum Pudding for Christmas and complete this FREE Unit Study with Printables, or chose another Virginia Kahl Unit Study if you prefer. Lesson 9 – Extend your study of Pompeii, completing this FREE Volcano Lapbook, or just add this Volcano tri-fold to your Lap-n-Note. Lesson 12 – There are many Free Unit Studies on the Valentines Day Connections Page to go with the Saint Valentine lesson. Especially applicable is the FREE The Valentine Cat Unit and lapbook. Lesson 15 – HSS has an India Country Lapbook and a few enjoyable resources including One Grain of Rice Unit Study & Lapbook, The Story of Little Babaji Unit Study, and Once a Mouse Unit Study that would tie in nicely to this lesson on India. Lesson 19 – Included on HSS’s Saint Patrick’s Day Connections Page are unit studies for the picture books Patrick, Patron Saint of Ireland, St. Patrick’s Day in the Morning, St. Patrick’s Day Shillelagh, and a Saint Patrick Trifold you can add to your Lap-n-Note. In this Quarter, we dig into knights and castles and all that epitomizes medieval times. HSS provides a FREE Knights Lapbook with projects for elementary and middle-schoolers. 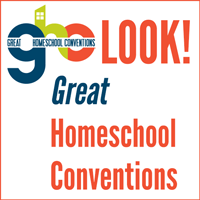 There is also a Knights and Castles Lapbook based on the Magic Tree House Research Guide, and many other resources and suggested books on Homeschool Share’s Middle Ages Connections Page. You could choose one of these lapbooks to complete throughout Quarters 2-4. And, if you follow a traditional school schedule, you’ll be completing this quarter in early spring, the perfect time to share Virginia Kahl’s The Habits of Rabbits. Lesson 23 – Get in some fun math lessons sharing the Sir Cumference Multi-book Theme Unit while studying King Arthur. Lessons 28 & 31 – Select a literature based unit study or other China resource including HSS’s China Country Study and Lapbook, Story About Ping Lapbook and Printables, The Empty Pot Lapbook, Round is a Mooncake Unit Study, Fish in the Air Unit Study, Love as Strong as Ginger Unit Study, and/or Daisy Comes Home Unit Study. Or, for individual lapbook components, visit our Misc. Lapbook Components Page. Lessons 29-30 – Use this Mohammed Report Form to record what is learned. Lesson 32 – The Epic of Beowulf inspire an interest in dragons? Complete this Free Unit Study for Saint George and the Dragon by Margaret Hodges, and/or use the Dragon Report Form or Dragon Book Review as desired. Lesson 37 – This Charlemagne Report Form can be used to record what is learned. Also, read about Charlemagne’s connection to the first pretzel, completing a mini-unit using Pretzels by the Dozen by Angela Elwell Hunt and these Pretzel Minit Books. Lesson 38 – Watch the movie Aladdin, based on The Thousand and One Nights, and complete a Movie Lapbook. Lesson 39-40 – The Vikings are introduced. You can begin this Viking Adventure Unit & Lapbook in this quarter, or complete it in entirety when you get to more Vikings lessons in the third quarter. Lesson 42 – Use this Alfred the Great Report Form. Lesson 48 – As you study Russia, create a Russia Country Lapbook, or enjoy a Russian themed unit study such as Rechenka’s Eggs or The Fool of the World and the Flying Ship. Lesson 49 – Peruse the China resources recommended in Quarter 2. Lessons 51 & 52 – Continue or begin the Viking Adventure Unit & Lapbook as you learn about Eric the Red and Leif the Lucky. Lesson 53 – Compare the history of Macbeth to Shakespeare’s play and complete Macbeth Notebook Pages. Lesson 62- There are many versions of Robin Hood, but the picture book by Margaret Early is especially beautiful and well told. Here is a FREE Robin Hood Unit & Lapbook made specifically for the Early adaptation, but most components could be adjusted for whatever version you choose. Or watch a version of Robin Hood and complete a Movie Lapbook. Lesson 63 – Select a literature based unit study or other Japan resource including HSS’s Japan Country Lapbook, Little Oh Unit Study, Taro and the Tofu Unit Study, and/or Crow Boy Unit Study. Homeschool Share has a few chapter book unit studies that would fit well in this quarter. You can read them aloud to younger children, or have your capable older children read them themselves. The Castle Diary takes place in 1285, The Apple and the Arrow, about William Tell, takes place around 1291, and The Whipping Boy. These Unit Studies all have printables to add to your Lap-n-Notes. Lesson 71 – While you’ll learn more about the explorers in MOH Volume 3, you can use applicable lessons and printables from this Explorer Unit as Marco Polo is introduced. Lesson 72 – Watch Braveheart starring Mel Gibson and complete Movie Lapbook. Lesson 76 – The Plague Lapbook can be completed in this quarter as you study the Black Death. Lesson 77 – Peruse any China resources mentioned in previous Quarters. Lessons 78 & 80 – As you begin to delve into the beginning of the Reformation, you can supplement your study of Wycliffe and Huss with applicable lessons and printables from HSS’s Reformation Unit. Lesson 84 – Before introducing Gutenberg, enjoy this beautifully done Marguerite Makes a Book unit study, about a young French girl who helps her father with illumination before the invention of the printing press. Then, peruse these Inventor Notebook Pages to record what you learn about Gutenberg. There you go! Whether you are using Mystery of History, another chronological history curriculum, or just want to dabble in the Dark Ages, HSS probably has something you’ll find enjoyable! Next month we’ll share resources for the Renaissance and Reformation.